Your body of work incorporates a variety of materials, styles and techniques, such as photography, drypoint etching, relief printing and the use of both paper and fabric – when and how did you learn to printmake? One of the great things about being at a fine arts university is that you have access to incredible studios and professors who are extremely experienced and influential artists. I think it was just a natural progression for me to move forward into the printmaking field. But I really learned about the process and technique through school. What inspires you? My inspiration usually comes from fleeting moments or things that are overlooked, marketplaces, people, stillness, dreams, the list is long! What is the process, from idea to completed work, of how you create a print? I tend to let things happen organically but when I am doing print related work I try to have an idea of what an image might look like. Before I got into print, my illustration work already incorporated a lot of elements of printmaking, especially layering – which translated really well once I moved more into print. I sort of look forward to mistakes, or happy accidents, because that is usually the turning point for me when I can put together a final piece. Last year you travelled to Italy – what were the top three things you liked about your trip? 1) The village I was living in – everyone is in everyone’s business, the older women gather on the same stairs everyday at 4:30 and share the gossip; cows and sheep would be in the middle of the street; down the street from where I was living there is an area that’s like a bath/fountain combined where we get fresh mountain water. All of these small elements added up to one big thing that really made me re-evaluate the pace in which I was moving and living my life. 3) learning the language also really enabled me to be fully immersed in the culture and I was able to connect with people in more remote villages who don’t speak a lot of english – pretty wonderful stories! Can you tell us the backstory behind this picture? I took this at the centre where I work. In June we have a summer solstice festival that revolves around meditation, dance, yoga, and just celebrating life with good friends and good food. 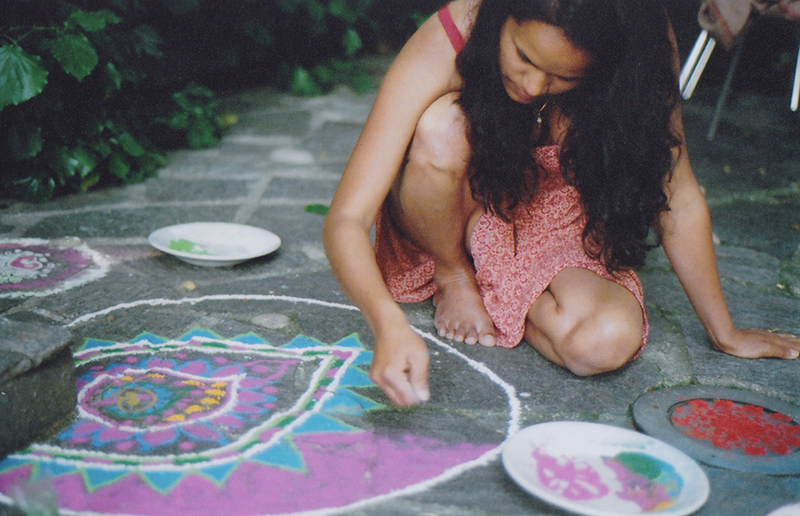 This is my friend Meera, from India, making a mandala with rangoli powder (the pigment). I love reading… and it is so hard for me to pick one. But one of my many favourites is Shantaram by Gregory David Roberts. Firstly, his life story is pretty unbelievable, and his writing is so powerful. Reading Shantaram was like going on a journey, and there are so many points in the book where I wanted to stop and record what he says because it’s so true, raw and beautiful. Have you always desired to be an artist, how have you got to where you are now – what has been your journey so far? I have definitely always wanted to make art. I am very lucky to have such supportive parents – they really instilled a lot of trust in me and let me carve my own path. I was choosing to go in a direction that may have been seen as “unconventional” but that would make me happy and my family just encouraged that. That truly made all the difference. If you could buy one thing for everyone in the world, what would it be? Crayons – it’s important to embrace your inner child. 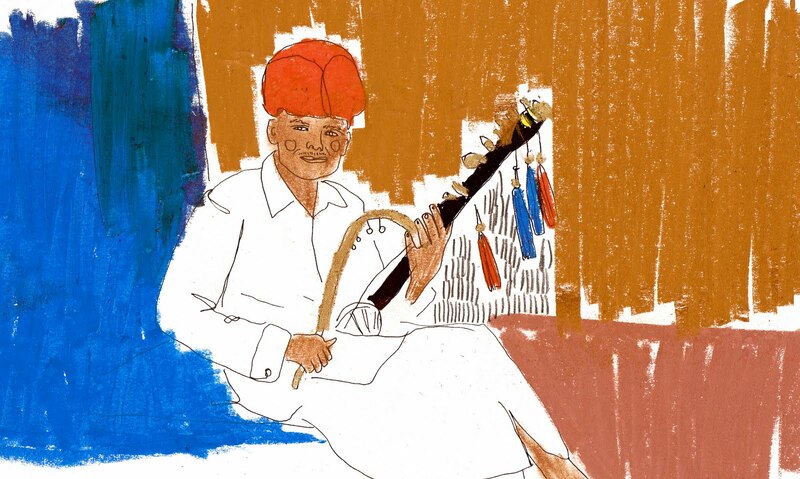 What roles do India and Africa play in the creation of your works? What draws you to these two cultures? It’s so hard for me to find the words to answer this. A part of me wants to say that my experiences while traveling really solidified this connection… but at the same time I think it runs a lot deeper. I am still trying to navigate my way through this pull and am continually exploring this through my work. Something that I always look forward to is: traveling. If you could only eat one food or from one restaurant or one person’s cooking for the rest of your life, what would it be? I love fruit, and I would probably not be able to give up berries, mango or watermelon. 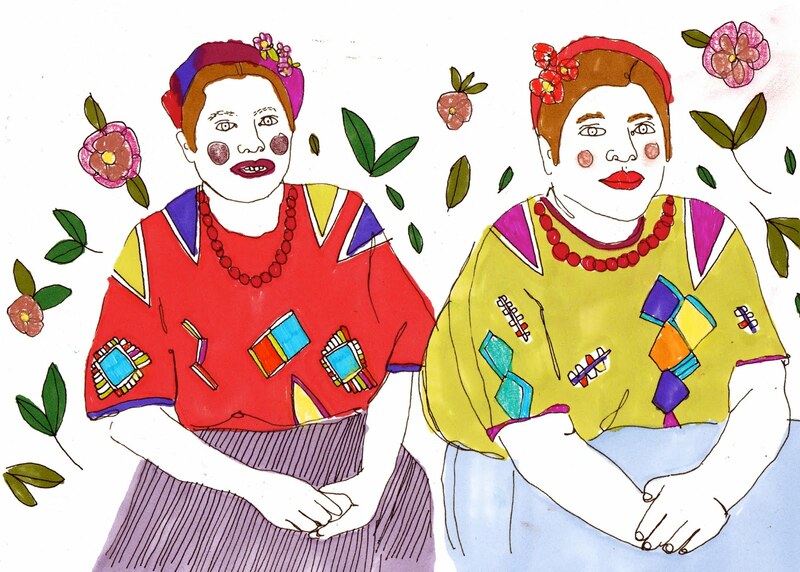 But if I had to choose someone’s cooking, it would probably be a family friend from Israel – her name is Basia, and when it comes to food, whatever she makes is magic. Do you have a favourite artist or art period? It’s hard for me to pick… I love art history and there have been so many incredible artists before me but there is also something to be said about many of the contemporary artists today. Imagine that you are a dj to the world – list 5 songs/artists/albums that you think everyone should listen to and why. Wow, this is a hard question indeed. Okay… 1) Harvest Moon by Neil Young – an always favourite of mine. And since I’m having difficulty with this one, I’ll just tell you what I’m listening to right now: 2) Canadian musician Charlotte Cornfield. She is so honest with her music. Listening to her is a beautiful experience. 3) Right now I’m listening to Foster the People a lot… definitely worth a listen, it’s good summer music. I like the songs Waste, Don’t Stop (Colour On the Walls), Pumped Up Kicks and Helena Beat. 4) Another really wonderful up and coming Canadian artist is Ben Caplan. He has a lot of solo stuff but he also has a band called Ben Caplan and the Casual Smokers. What a voice! If you give him a listen, you’ll know what I mean. 5) I’m sure many people are already listening to them, but I have to say Mumford & Sons. 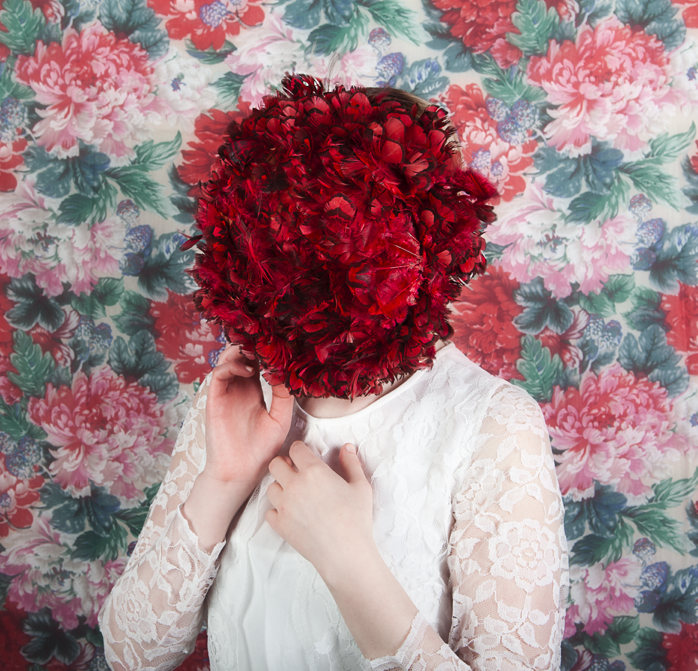 You have done some collaboration with the photographer Matin Zad (example on left), how did this collaboration emerge and what are the benefits of working in a team? Matin and I met in our first year at OCAD (Ontario College of Art and Design), we were in the same drawing class. We were always supportive of each others work and the collaboration just sort of happened once I came back to school this past year. I think working in a team, regardless of the field you’re in is incredibly important. It’s so good to be challenged, to find new ways of looking at something, to trust someone else and their ideas, to just let go and see what you have the capability to create when working with someone else. I am open to whatever should unfold! But for now, I am really happy to be back in school. Ideally, I would love to continue building a life for myself that allows me to see as much of the world as possible, while telling stories of my experiences in life through art.